NDA (National Defence Acadamy) is one of the most prestigious academies in India conducted by UPSC (Union Public Service Commission) twice a year. NDA one of the supreme gateways to join Indian Defense Forces and an iconic school that provides the best Defence education to IndianArmy, Navy, and Airforce together. NDA exam goes through 2 different stages, the first one is the written exam and the second is your SSB interview. Every year around 6 lakh candidates appear for the NDA examination. Nearly 30,000 candidates pass the written exam and sit in the SSB interview according to the merit list. By the end of it, only 300-350 candidates were able to make their way to NDA. The age requirement for the examination between 17.5 to 19.5 years, it requires you to be a 12th class pass from a 10+2 education pattern. The written exam is not so tough if one prepare for it regularly and have a clear idea about the exam pattern, marks distribution and syllabus. Don't try to isolate NDA exam from others, it seems to be more difficult if you do this. If one study smartly, the preparation can be integrated with the 12th Science Board exam. The written exam is 900 marks which are cub divided into two parts. The first paper is of 300 marks and contains only mathematical questions from academic chapters and reasoning questions, the second part of 600 marks is of general ability which covers your English, science and a number of current affair questions. Along with your basic curriculum, a lot of preparation needed for the exam. Students need to study from other books apart from their basic curriculum to score well in the exam. Below are the 5 most preferred books for the NDA exam preparation and you can easily buy them using Flipkart Sale Today Offer. The book has a deep explanation of all the topics major topics to some minor ones. It also provides various tricks and shortcut method to solve the problem fast for better preparation. The book covers sets and relation along with logarithmic, quadratic equations, trigonometry and geometry ti=opics like circles, and triangles, etc. It has a number of solved examples to clarify the topic and the concept behind it. Also, it contains different types of unsolved problems to build up confidence for the examination as mathematics alone is of 300 marks. The book comprises of chapters on mathematics, English, general ability, science, history, geography, and economics. It is essential to go through this book if you are appearing for the NDA or NA (Naval Academy) exam. A detailed explanation of every topic in a particular section is there in the book. A number of sample question papers are available that gives you a confidence boost. The effective narration helps the students to have the idea of the entire syllabus and helps them to build their strategy accordingly. 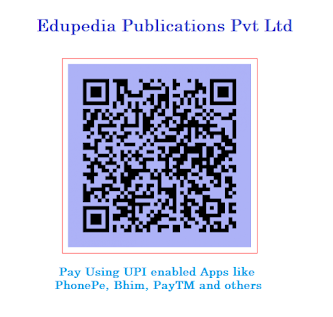 It contains 10 practice papers designed according to the pattern and framework of UPSC. The questions are divided into various subjects forming the core of the exams mathematics, English and general ability. It allows the student to get a clear idea about the examination and to level up their preparation. In order to increase the speed and accuracy, various solved questions with different techniques are given. By solving these question papers, the student will be more confident about his preparation and the topics studied will get revised. As the name suggests, this book covers general science questions both objective and subjective questions for different competitive exams. It gives you a whole pack of questions which will help you not just for the NDA exam, but for other competitive exams also. It covers the contents from Physics, Chemistry, Biology, Ecology & Environment, Astronomy, and Science & Technology useful for all competitive exams. This book includes the question papers from the past 10 years. After the preparations for the exam, students must go through this book for their complete revision and gain confidence. It gives you an idea about the type of questions asked in the paper and helps you to perform well in the coming exam and you can avail those using AliExpress Cashback Offers. Keeping a timer on the side of your desk, students can improve in their speed by solving the question papers given. Also, it has a detailed explanatory for the problems given in the question papers. Research & Development has been scaled up to a commendable level since last decade. In fact, a country’s strength is now measured on the scale of how efficient its R&D is! Research has currently been inculcated into each & every field be it science or arts. Research & development in the life science area alone has witnessed a steep rise. This has helped in eradicating life-threatening diseases like polio and pox and treating morbid disorders & numerous cancers. No doubt, it has led to betterment for humanity associated with health and quality of life. But research must be conducted beneath the umbrella of ethics and consistent with the pre-determined, acceptable rules developed by the community of scientists. Once the results are obtained, publishing them is the responsibility of every scientist, in order to spread across the word globally. 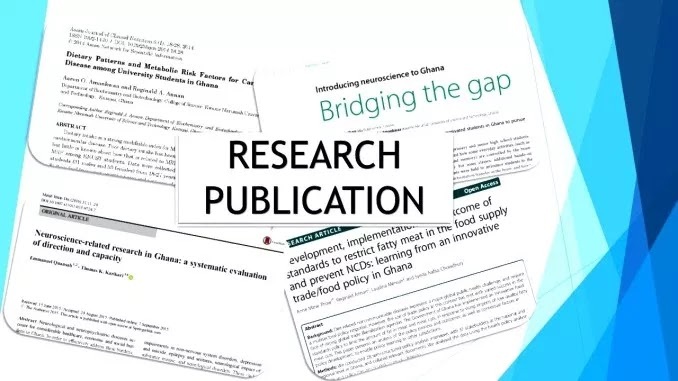 This will aid different researchers to analyze further on the obtained results and facilitate clinicians to relinquish additional care to the sick. Writing analysis isn’t solely a science but also a tough art. It needs honesty, hard work, patience, and perseverance. Increased competition in the field of good research has made it even difficult for the researchers to get their manuscript published in a highly reputed journal. Best of the journals look forward to those manuscripts which have the best quality research supported by ethical guidelines on scientific backgrounds. To each researcher, his own data/ manuscript/ finding is most important and relevant to the current world scenario. However, all of those manuscripts do not pave their ways into leading journals. Rejection obviously discourages the author/researcher. But does that mean that his research is not good quality, or is not up to the standards that are laid down internationally? We will try to find an answer to this particular question while going through views of leading researchers. Now, anyone, who is from the research background knows that the quality of a journal is determined by its Impact Factor. The impact factor is the measure of the impact of certain journals in the scientific community that represents the average number of citations which every article in that journal has received over the last few years. The higher the impact factor of the journal the higher the reputation among those scientists. Its calculation is based on the number of times items published in that journal in previous years were cited by indexed publications in the succeeding years. This term is also governed by other factors like H-index, self-citations, citations per document, etc. Although there are numerous available impact factors and scientific ratings, the most acceptable is one by Thomson Reuters. 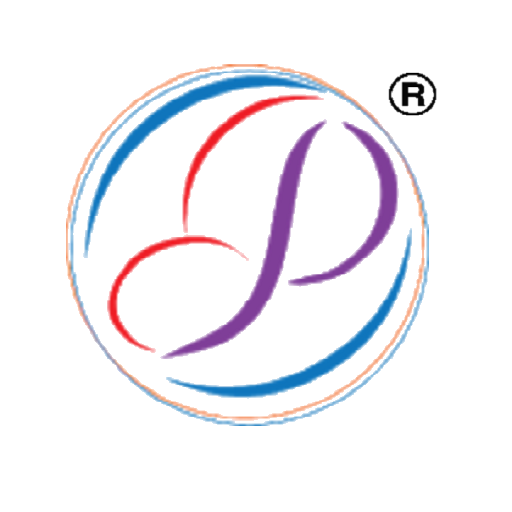 Leading scientific journals like Nature, science, IJR has a rating of more than 30. The use of journal IF to live the standard and impact of individual papers is invalid from a statistical point of view. The high Impact Factor of selective journals results from their ability to draw in many papers that are terribly cited. However, the publication venue could be a poor predictor of the number of times that an article is going to be cited. Thus, for many authors, the advantages of publication in high-IF journals result in a lot of from their association with different papers within the same journal that happens to be extremely cited than from their own extraordinary content. In different words, publication in a very high-Impact Factor journal is also easier than manufacturing extremely cited work. (v) to cite the foremost acceptable sources. A news in 2013 grabbed the attention of masses, when Randy Schekman, a US biologist who won the Nobel prize in physiology or medicine of that year stated that his lab would not send research papers to the highest-impact journals, Nature, Cell and Science. Schekman said pressure to publish in “luxury” journals inspired researchers to chop corners and pursue fashionable fields of science rather than doing a lot of necessary work. According to him, the matter is further worsened, by editors who weren’t active scientists but professionals who favored studies that were doubtless to form a splash. Not only the Nobel Laureates but listening to the views of the overall scientific community, one will realize that young researchers are more interested in citation count and h-index than impact factor. Citation indexes were originally designed for data retrieval, they’re progressively used for bibliometrics and alternative studies involving research analysis. Citation information is additionally the idea of the favored journal impact issue. The impact issue (IF) of a journal may be alive reflective of the average range of citations to recent articles published in the journal. It is often used as a proxy for the relative importance of a journal in its field, with journals with higher impact factors deemed to be additionally vital than those with lower ones. The h-index is an associated index that makes an attempt to measure both the productivity and impact of the research work of a scholar. The index relies on the set of the scientist’s most cited papers and also the range of citations that they have received in alternative publications. The index can even be applied to the productivity and impact of a bunch of scientists, like a department or university or country, as well as a scholarly journal. The citation count will automatically increase if the research paper follows ethical guidelines and contains all the relevant information. It will draw the attention of researchers, even if it is not a part of a high impact journal. Ultimately the whole and sole of research are to give some piece of information which can be used by others to develop something which is going to bear fruits. There is no use of such ground-breaking research that wins the Nobel Prize and gets published in Cell, Nature, Science, IJR. Quality Research vs Publication in High Impact Journal! What’s Important? is an open access, international, peer-reviewed general medical journal. The journal's full text is available online at https://ejbss.org . The journal allows free access to its contents. EJBSS is dedicated to publishing research in medical science from all disciplines and therapeutic areas of medical science or practice. The journal has a broad coverage of relevant topics across medical science or practice. European Journal of Business and Social Sciences (EJBSS) is one of the fastest communication journals and articles are published online within short time after acceptance of manuscripts. The types of articles accepted include original research articles, review articles, editorial, medical news, case reports, adverse drug reactions, short communications, correspondence, images in medical practice, clinical problem solving, perspectives and new drug updates. It is published monthly and available in print and online version.. 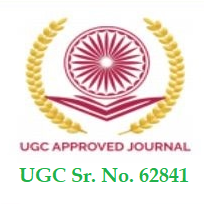 The journal is indexed with leading International Indexing agencies like Index Copernicus, Google Scholar, Open J-Gate, IIFS, Citefactor, DJOF, DRJI, Eyesource etc. 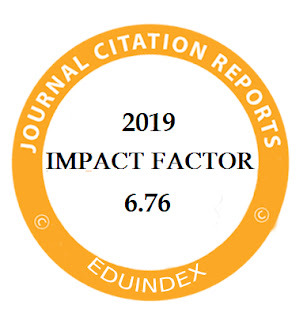 The journal is indexed and having high impact factor 6.76. A Standard Review Process should take 3-4 days time.